"Manx Nautilus Crewing Ltd" agency, being the official representative of the leading maritime agencies of the UK and the Ukraine, has started working in the Russian crewing market in St. Petersburg, providing intermediary services in the field of employment of qualified seafarers on ships of British and German shipowners, certified by international quality system ISO 9001:2000. 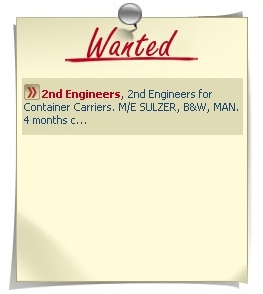 Professionals of every marine occupation category are being selected by a qualified team to work on container carriers and wood-cargo vessels. The sail area of container carriers is vast: it includes South-East Asia, Africa, Europe, South America and Australia. Wood-cargo ships operate in the region of Northern Europe.